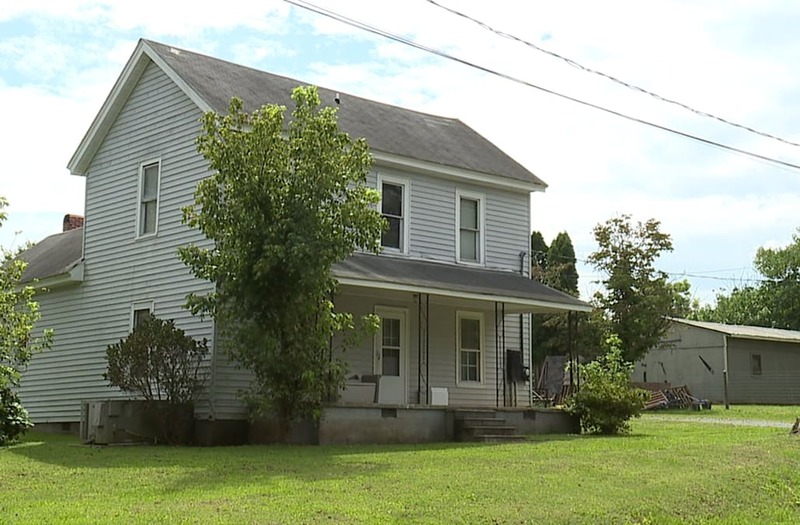 ANDLEMAN, N.C. (WGHP) -- Police found a malnourished 5-year-old girl locked in a small closet under a stairway at a home in Randleman, according to a press release. On Sept. 12, Randleman police conducted a welfare check for a child at a home in the 200 block of Back Street. Officers were told the child was being physically and mentally abused. Officers went to the home in an effort to locate the little girl. Upon arrival, they found no vehicles in the driveway and it appeared no one was there. Officers knocked on the door and received no response, so they began calling the child's name. Once they began yelling, they received a response. They first asked the child if she was OK and the girl replied with "no." Officers then asked if she needed help and she replied, "yes." Officers conducting a welfare check at a North Carolina home found a malnourished girl locked in a small closet under a stairway, according to police. Officers then made entry through a front porch window and found the child locked in a two-foot by four-foot closet under a stairway. She had no food or water and appeared to be extremely malnourished with burns, scratches, and bruises all over her body. As a result, Adam Joshua Byrd, who is the child's father, and Crystal Dawn Carnahan, who is a child caretaker, were arrested.